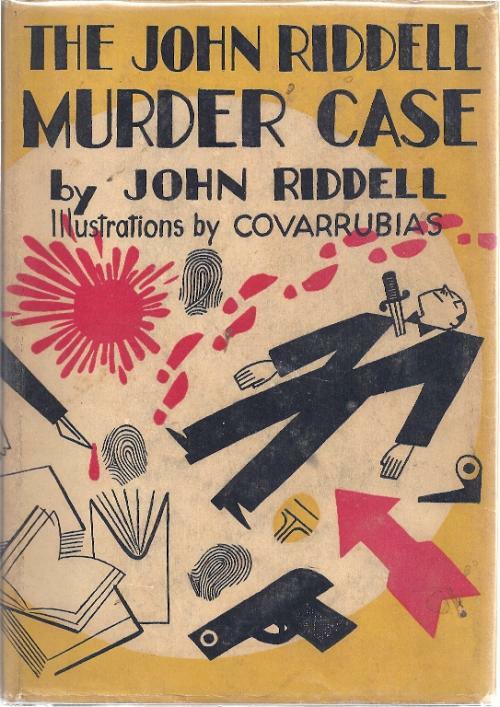 As you can perhaps guess, today’s book is a parody: The John Riddell Murder Case, written by “John Riddell”. Actually, the author is American humourist Corey Ford. The John Riddell Murder Case is one of the most hilarious books I’ve ever read in any genre, period. This is just one of those books that is full of laugh-out-loud moments, especially if you know what is being parodied. And the targets are varied: not only is S. S. Van Dine a target, so are such various people as Robert Frost, Dashiell Hammett, and ex-President Calvin Coolidge! What could possibly bring such different people together? The answer is simple: they are the people responsible for last year’s bestsellers. 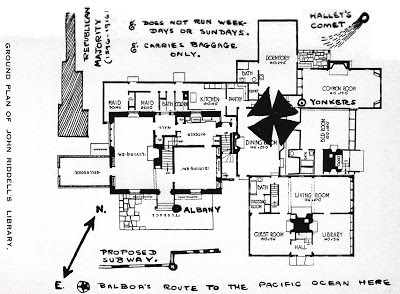 Philo Vance comes down to Riddell’s library to investigate, and begins to read the bestsellers aloud, convinced that the answer to the whole puzzle must lie in them. Meanwhile, the corpse (which isn’t even dead to begin with) keeps pulling books off the bookshelf and passing them on to Vance and his fellow detectives. And whenever this happens, the author of that book is found murdered, stabbed through the heart, and wearing John Riddell’s left tennis shoe! Meanwhile, the book moves from parody to parody, as authors drop dead left and right. At one point, eight authors are found dead in Chicago, including Dashiell Hammett (author of Red Harvest), which prompts a parody entitled “All Quiet on the Middle-Western Front”, a simultaneous parody of Chicago gangland novels and the infamous war chronicle All Quiet on the Western Front: gangsters are engaged in warfare on the streets of Chicago, where they must be careful only to murder characters from their own stories, but it’s so difficult to tell all these Chicago novels apart. There are plenty of other targets. One of my favourites occurs when the book decides to make fun of those puzzle books—you know, the mysteries that take two minutes to read and where the answers are printed upside down on the next page. The mysteries and answers proposed here are absolutely hilarious! Unfortunately, The John Riddell Murder Case is extremely hard to find. When I searched for it in the Canadian library system, I turned up a blank. Copies can run up to $779 – but your faithful correspondent managed to snag a copy for a mere $50. (A search on viaLibri reveals that the cheapest copy currently available is $75.) And my copy had a very peculiar thing about it. You see, The John Riddell Murder Case had a sealed-off ending. Only four pages were sealed off, and the challenge “not to break the seal” was written in a very tongue-in-cheek way, but it was another way the book poked fun at mysteries. See, back in the day, some mysteries had a gimmick where they sealed off the ending and if the book was returned with the seal unbroken you got your money back. 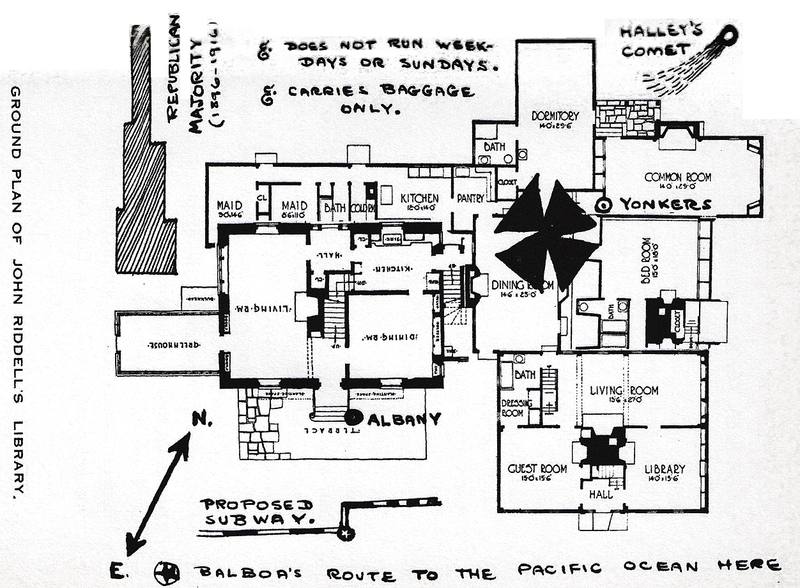 (John Dickson Carr’s debut novel, It Walks by Night, had such a gimmick.) I have never seen one of these seals… until now. Because you see, my copy of The John Riddell Murder Case had the seal intact! I’ve examined it closely and it looks like it could very well be the original, unaltered article (though I really can’t swear on this). I failed to realize what this meant until I reached page 318—I couldn’t read the ending! Or… could I? Using some trickery and my handy dandy webcam, I managed to take multiple pictures of the final four pages, then pieced them together and finished the book without ever breaking the seal. In keeping with the rest of the book, it’s a funny conclusion to the proceedings. And that sums up The John Riddell Murder Case very well: it’s funny. I’d go so far as to call it hysterically funny. This is a terrific parody of all sorts of best-sellers, but particularly the Philo Vance stories. It’s an excellent book that mocks the genre without ever descending into mean-spiritedness or condescension. (Some people could learn a thing or two from this book.) What a shame it’s so hard to find! 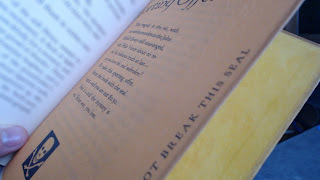 My copy has both halves of the seal still bound into the book, but slit open. 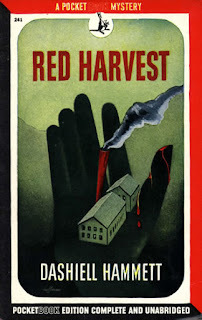 You didn't mention the fabulous illustrations by Miguel Covarrubius. Another reason to own a copy of the book. ...John Riddell... reminds me of another book with real writers and celebrities acting as detectives in a parody of the genre -- THE SMILING DETECTIVE -- which is also one of those pricey collector's books. My goodness, John, you're right. How *could* I have forgotten to mention the illustrations??? They are absolutely delightful. Sounds marvellous - I am very envious and both of you guys!